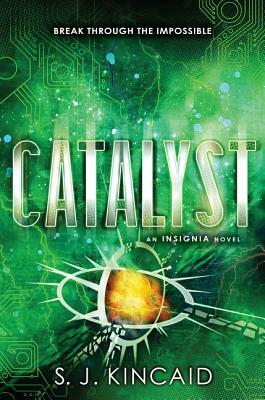 This exhilarating, explosive, and heartrending conclusion to the Insignia trilogy brings Tom and his and brave young friends into dangerous confrontations and stunning tests and into an impossible future they could never have predicted. Tom Raines and his friends are eager to return to the Pentagonal Spire to continue training for the elite Intrasolar Forces, but they soon discover troubling changes: strict new regulations and the revelation that the Spire is under new military control. What begins as an irritating adjustment soon reveals a dangerous shift in reality. Those now in control are aligned with corporate sponsors and their ruthless agendas. And when the military academy begins welcoming new cadets with suspicious neural processors the first step in a plan with horrifying worldwide ramifications Tom is desperate to stop it, even if that means keeping secrets from his closest allies. Then a mysterious figure, the other ghost in the machine, begins fighting against the corporations, but with methods even Tom finds shocking. And when the enemy comes for Tom, how much can Tom endure in the battle to save himself? He must decide if he can still fight when the odds of success seem to be sliding from his grip.